Zhengzhou University insists on scientific and fast development, and centers on the construction of academic disciplines and new campus, optimizes the university’s structure, develops special features, strengthens the innovation system, and enlarges the policy of openness.International students who study in zhengzhou university will enjoy a high-quality study. Zhengzhou University is a national key university co-built by the Henan Provincial Government and the State Ministry of Education. Currently, MBBS taught in English is available to foreign students. Courses conducted in English on the master's degree offered to you vary from stomatology, internal medicine, neurology to emergency medicine. Doctoral degree courses such as clinical medicine, internal medicine, oncology etc. are taught in English as well. Every year, hundreds of International students from India, Pakistan, the U.S, Canada, Korea etc., come to ZZU to pursue Bachelor's Degree, Master's Degree or Doctor's Degree. 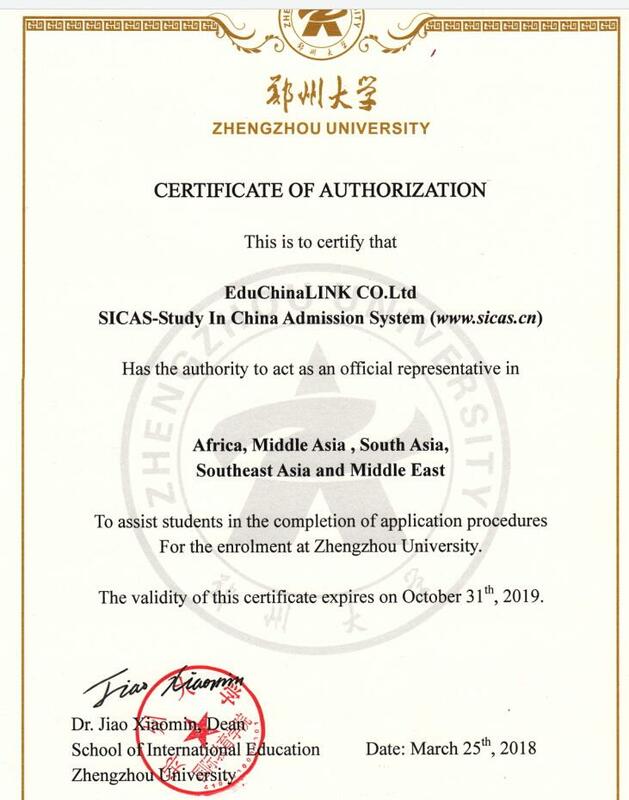 SICAS ranks ZZU a four-star university.